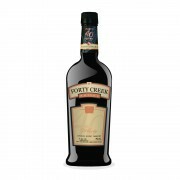 This is the ninth annual limited release from Forty Creek, and the second since the distillery was acquired by Campari last year. 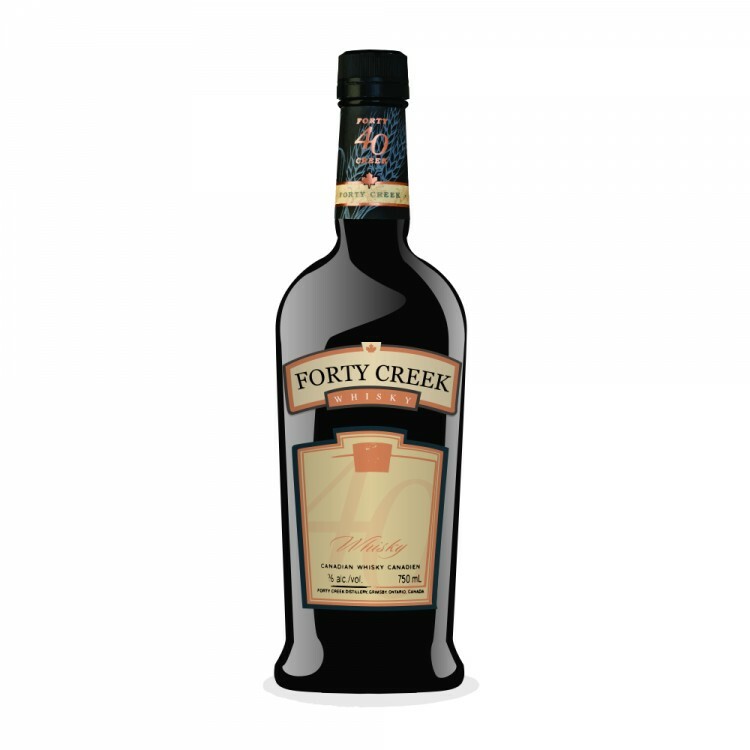 2014's release, Evolution, was extremely disappointing, and I was very concerned that the quality of Forty Creek whiskies was going to decline. Even more worrisome is the now minor role that John Hall seems to be playing. He was once referred to in the marketing as "Whisky Maker", but now is referred to as just "Founder", implying (and confirmed by some of my sources) that he is no longer involved in distilling and blending the whiskies. This is, of course, extremely disappointing given he is a pioneer in the landscape of Canadian whisky. Three Grain Harmony is a blend of corn whisky with rye and barley stocks that were distilled back when Forty Creek was started. These separate single grain whiskies were aged in toasted white oak barrels before blending. Only 9000 bottles were produced. The colour is a deep copper. On the nose there is gentle honey, soft vanilla, chocolate orange, toasted oak and hints of rye spice. Sourdough. Furniture polish. Beeswax. Buttered croissants. Water does little but dampen the nose. Mild but not bland; complex but not bold. But very interesting. On the palate there is much more vanilla and toffee; also more rye. The honey is very nice - we also have rum-raisin, buttercream and some sherry notes! Water ups the spice. Like the nose, the palate is played in a minor key but is still enjoyable - mouthwatering, even. The finish is medium length and dry, with more spice, lemon zest and caramel. This is a pleasant surprise, especially considering many of my friends and fellow connoisseurs dislike this release. Although it is milder and smoother than more robust expressions like Port Wood and Copper Pot, it has genuine complexity and brings the positive qualities of the Canadian style front and centre. Interestingly, the flavour profile has much in common with the last whisky I just reviewed, Gooderham & Worts, in terms of smoothness and the honey/vanilla/toffee notes. But where G&W was bland and nondescript, Three Grain Harmony has ribbons of spice and oak running through it. Quite nice and worth seeking out. @talexander, thank you for an informative and honest review. I was initially disappointed by FC Harmony. I believe balance is lacking, notably the tumultuous discord between young corn whisky and long-aged rye and barley whiskies, too much barley, for my liking, in a Canadian blend. I have transitioned from being disappointed to just being underwhelmed. I hope this transition continues. The whisky has opened up and I find it more palatable. I have yet to change my initial score of 79. This is not a good representation of John Hall's style. His signature may appear on the label, but his masterful craftsmanship has little influence on the contents of the bottle. All is not lost. I have recently shared in the purchase of a case of the stunningly delicious 2013 release, Heart of Gold. Although it is not my favourite Forty Creek, I believe H of G is the quintessential expression of John Hall's signature style. I look forward to sharing a flight of at least seven Forty Creek Reserve releases with you. That will be an epic tasting my friend. I agree with @paddockjudge, but I too hold out hope that it may improve over time. There is a fungus-like note in this one, either savoury mushroom or asian "wood-ear" that isn't unpleasant, just unexpected. I find the smell and taste is muted, and there are no bright spicy notes I expect with a Canadian whisky. I have to disclose that of the 2-3 times I have tried this, the only time I did so with a clear olfactory organ was the first time, and I will reserve judgement until I can taste this without even the remnants of a cold. But as of now, this is my least favourite the special releases. I count only 6 that I've tried. @paddockjudge, what is the 7th and where can I try it? I agree Heart of Gold is pretty great - and to your point of Three Grain Harmony not being part of John Hall's style, I would agree (which doesn't mean I don't like it). But perhaps John Hall had nothing to do with Three Grain Harmony at all? @Nozinan, I agree it has no bright spicy notes - it is quiet, muted and perhaps too smooth for its own good. But there was still enough going on for it to work for me. I too suspect that Hall may not have been involved with the blending of Harmony. An industry source indicates that rye from the pre-Hall era at Kittling Ridge was used in the making of Harmony. That would put the age of the rye close to thirty years old, with the barley being older than twenty years. Our views are not exactly convergent on the most recent Forty Creek Special releases; however, I do respect your opinion and consider you well versed on matters of whisky. I did revisit Collingwood 21 today. Time has been kind to this whisky, but I am having a tough time getting past the maple influence. @talexander, a smidgen is the appropriate dose for C21. I havent tried this one yet, but hope to in the future. I have only tried the Evolution as far as the Forty Creek expressions go, but I quite liked it. It was the 2014 I believe. I have a sealed bottle of the C21, guessing it is probably best to open it and let the air at it a bit? This one has won a Bronze medal at the Canadian Whisky awards.... along with 22 other Canadian whiskies. The "Bronze" medal at the Canadian Whisky Awards is like when my 11-year-old daughter goes to track and field day and loses every activity - she gets a "Participation" medal. Gave this another try today. Fungus is gone in the nose but not on the palate. Still has an earthy aspect to it. Not off-putting, between there are so many good ones around... Still glad I dumped 3 of them back on the LCBO, but surprised there is no inventory listed. Someone must like this. Well, I gave it an 86 so I guess that someone is me!